The all-new 2017 GMC Acadia mid-size SUV is designed to make a lasting impression. Its bold, sculptural lines, advanced technologies and refined details are the mark of Professional Grade engineering. 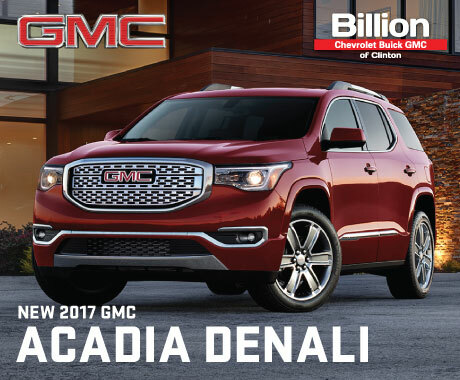 Become a customer for life at Billion GMC of Clinton today!